Thérese Humbert was a born storyteller. She persuaded her friends that if they pooled their gems they could persuade eligible young men that they were wealthy and worth marrying. It worked for her and she married the son of the mayor of Toulouse who later became the French justice minister. 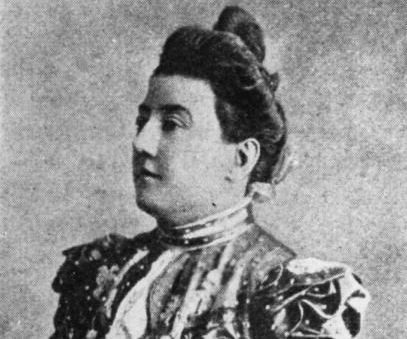 In 1879 she claimed that she had helped an American millionaire, Robert Henry Crawford, and he had promised to reward her one day. In 1881 she said that she had received a letter saying that Crawford had died and had left her a large sum of money. Thérèse claimed that her safe contained four documents: Crawford’s will leaving his money to her; a second will that left everything to Therese’s younger sister, Marie, and to Crawford’s nephews; the third document was a waiver from the nephews stating they would allow Thérèse to look after the money while the two wills were settled; and a fourth document in which the nephews agreed to forego any share in the money if they were paid FF6million. Thérèse borrowed large sums of money against the supposed inheritance of 6 million francs and moved to a large house on the Avenue de la Grande Armée in Paris with her husband. For the next 20 years, they lived a life of luxury and when the loans had to be repaid they simply borrowed more. Eventually, the bank asked what form the wealth in the safe took and Thérèse told them it was in government bonds. Deciding to do some checking, the authorities discovered that no such bonds had been purchased. The media, already sceptical, demanded that the safe be opened. In 1901 her creditors sued Thérèse realizing that the inheritance would never be able to cover her debts. In 1902 the court demanded that the safe be opened. When it was opened on 10 May it was found to contain about 5,000 francs worth of securities, an empty jewel box, a brick and an English halfpenny (although one rumour had it that it contained a trouser button). Many creditors were ruined and at least one committed suicide. Thérèse Humbert fled to Madrid two days before the safe was opened but was extradited in December 1902 and charged on 9 March 1903 with 257 counts of forgery and financial malfeasance. The media, among her severest critics, came over to her side. One newspaper reported, “Let us hope this gifted woman be spared.” The trial opened on 8 August 1903 and a fortnight later Thérèse was sentenced to five years’ hard labour. Her husband received the same sentence. Released from prison, Thérèse emigrated to America. She died in 1917 in Chicago.